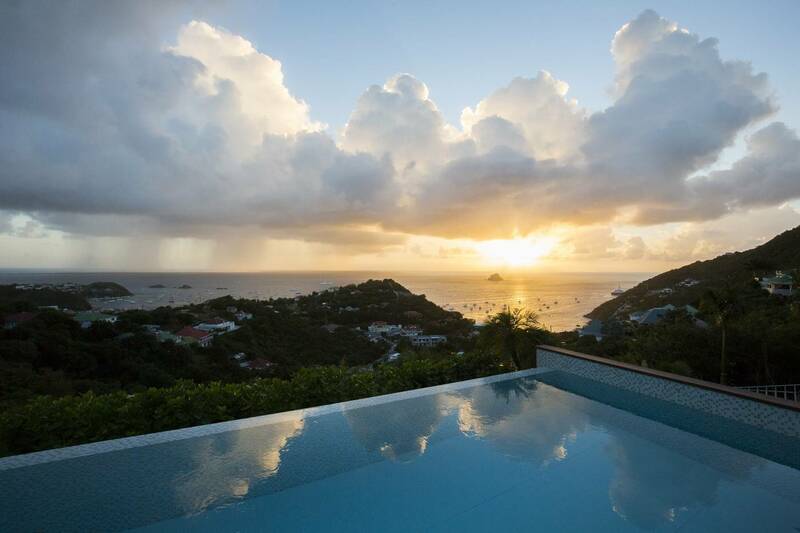 Dream About: Gathering with friends in your poolside gazebo to toast fiery sunsets. 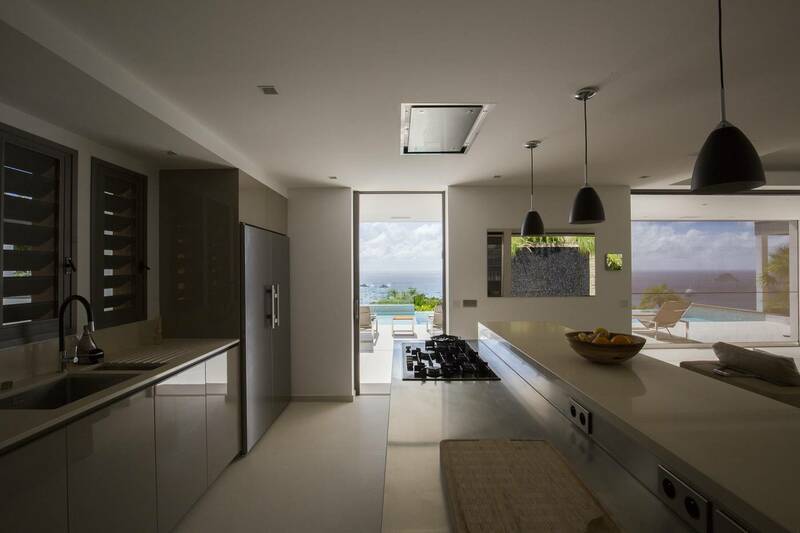 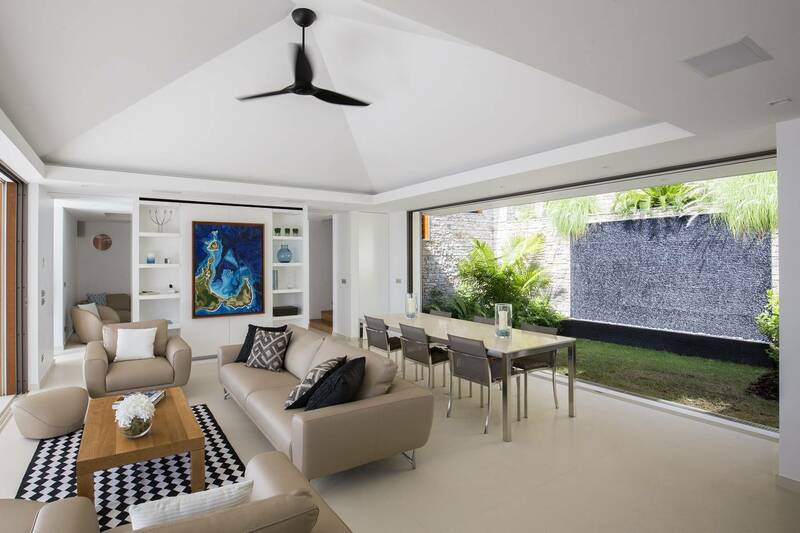 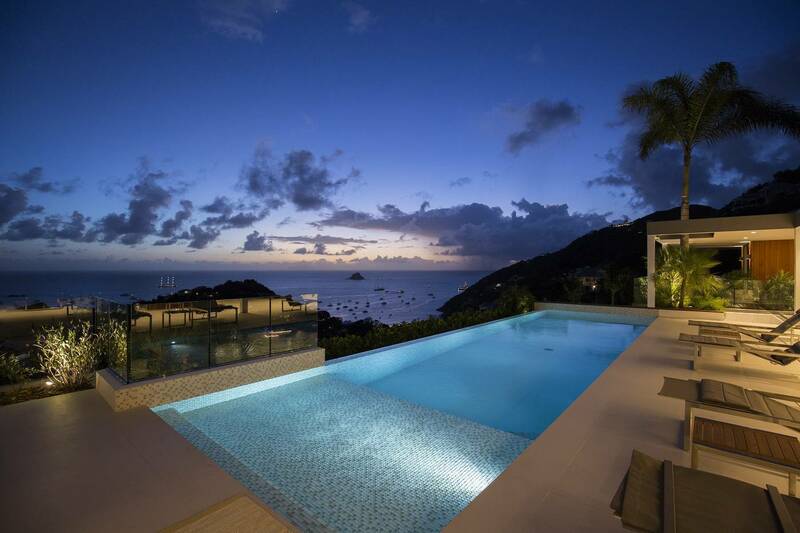 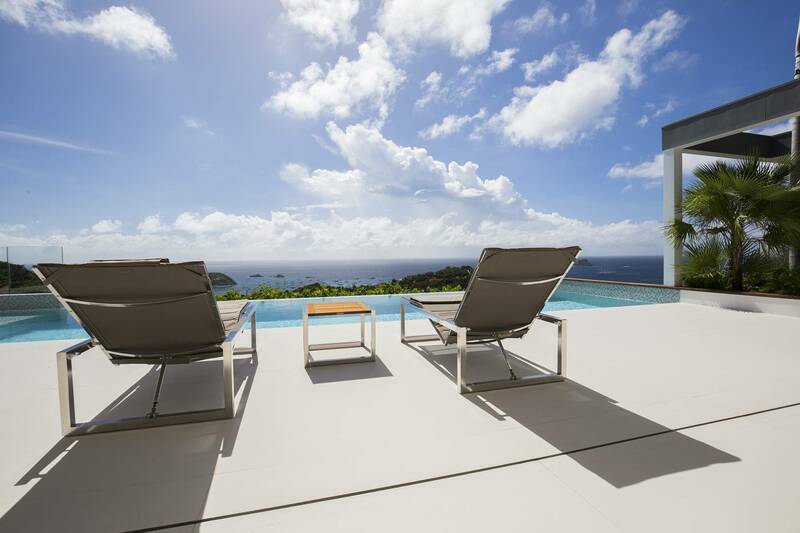 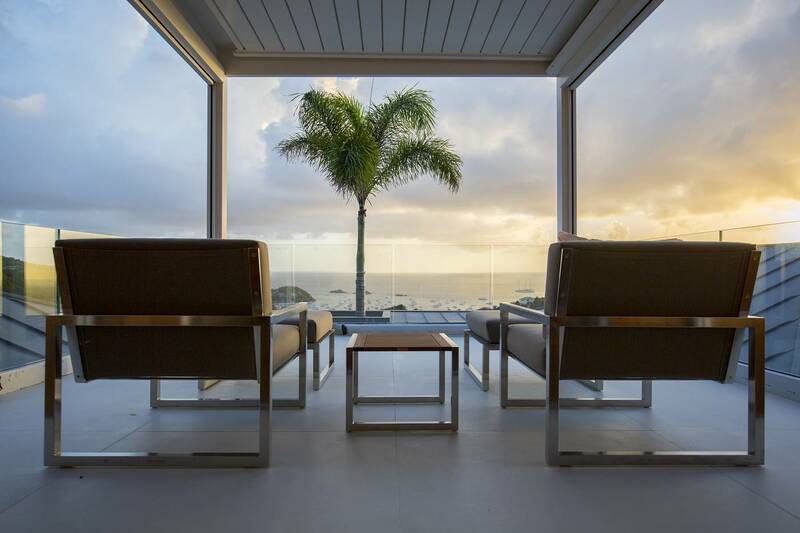 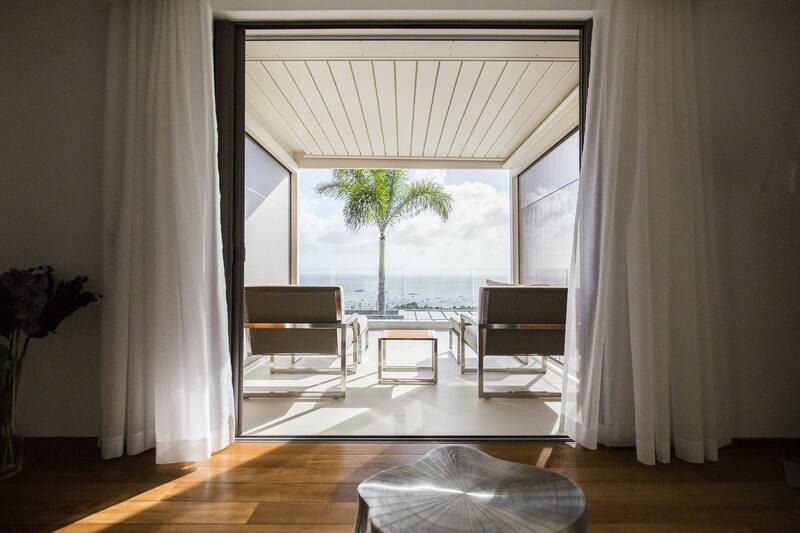 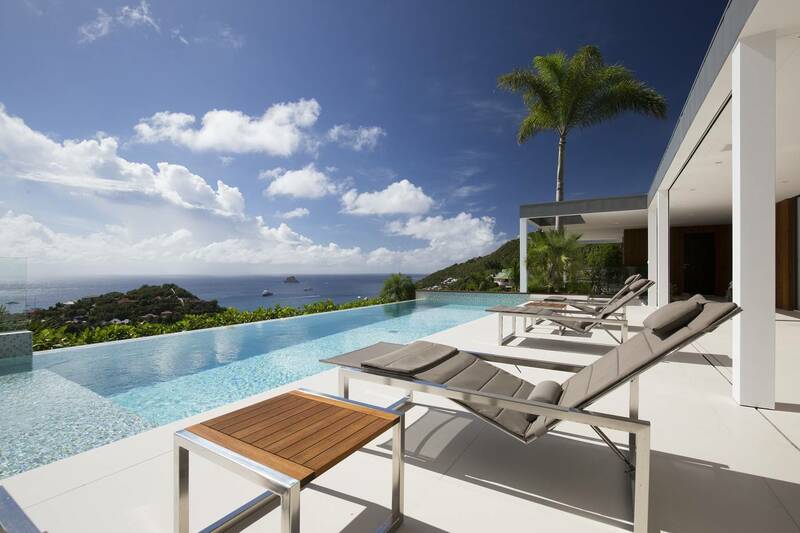 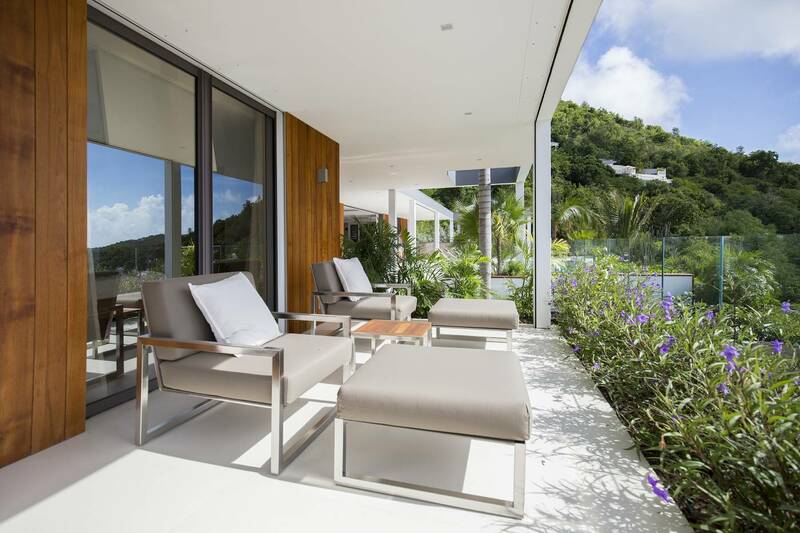 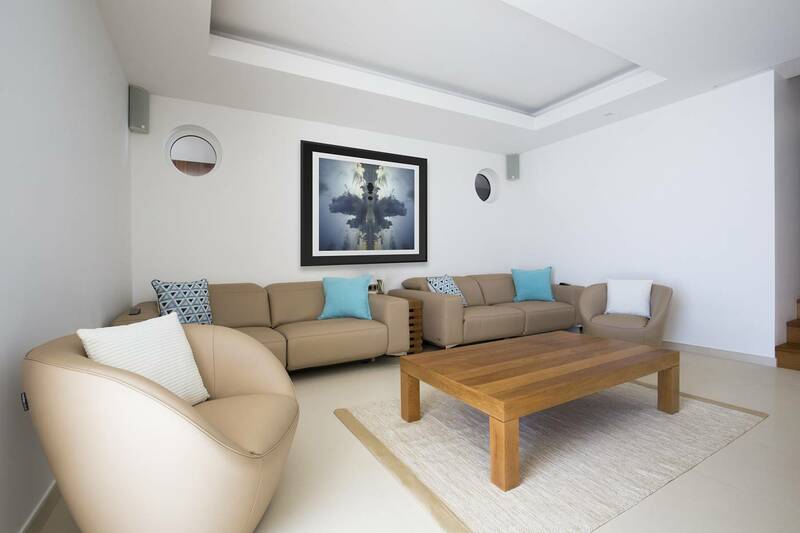 The contemporary three bedroom, three-tier, Villa LAO, has much to offer guests seeking a St. Barth villa vacation. 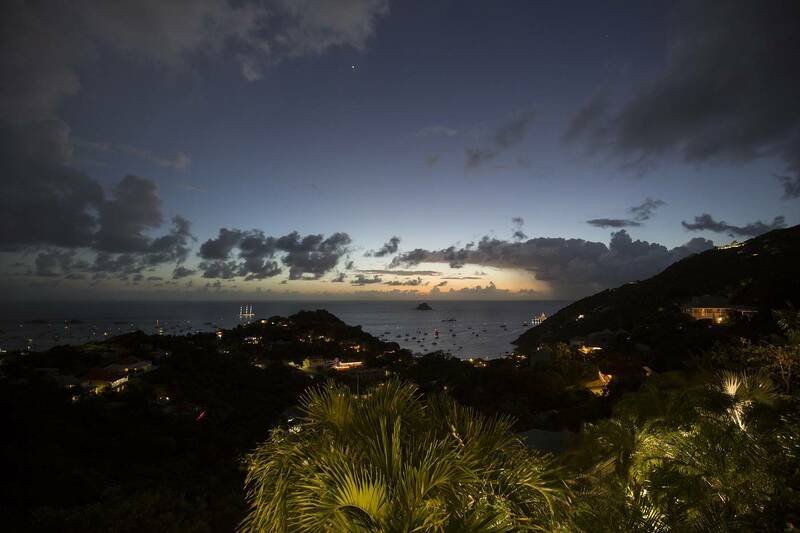 It sits above the quaint fishing village of Corossol, affords gorgeous views, and is close to Gustavia for dining and shopping. 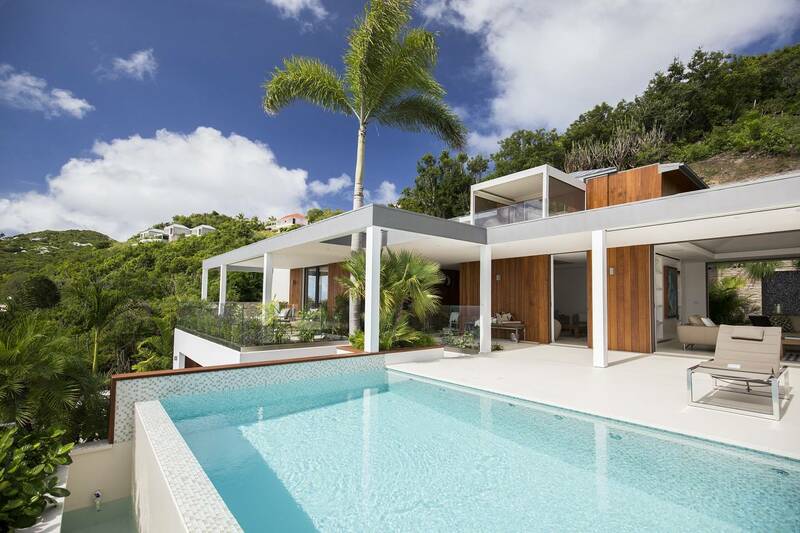 A lower level double garage houses the entrance where a stairway leads to the main level and its expansive terrace with an oversized heated infinity pool. 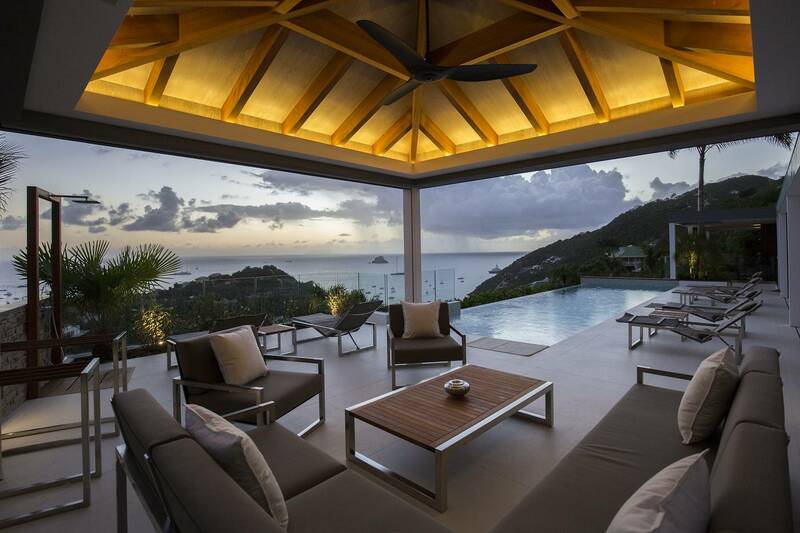 A gazebo provides shade for relaxing and is just the spot to gather for sunset cocktails. 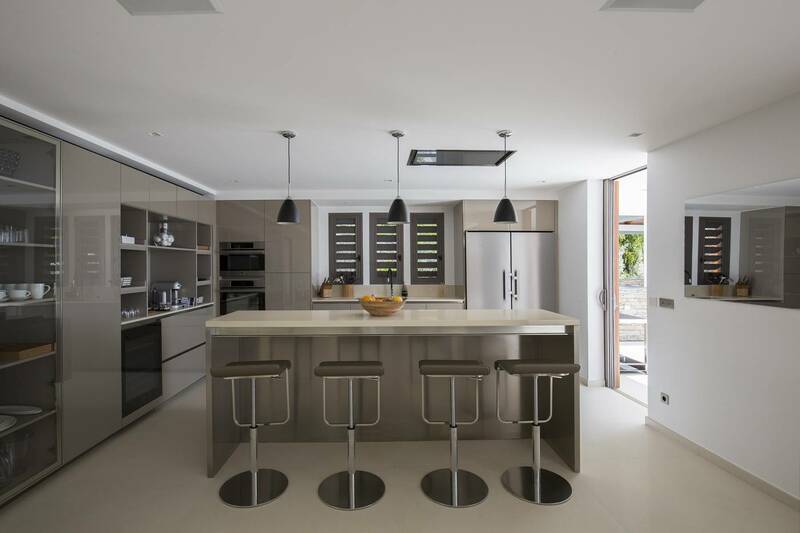 Indoors, a breakfast bar divides the sleek, gourmet kitchen and dining area from the living room. 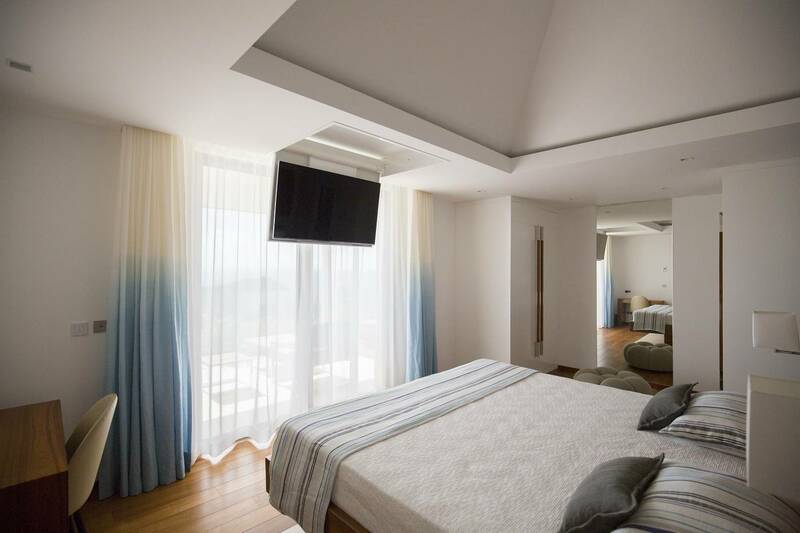 A separate air-conditioned media room is one of the many special features that include a fitness room and a waterfall. 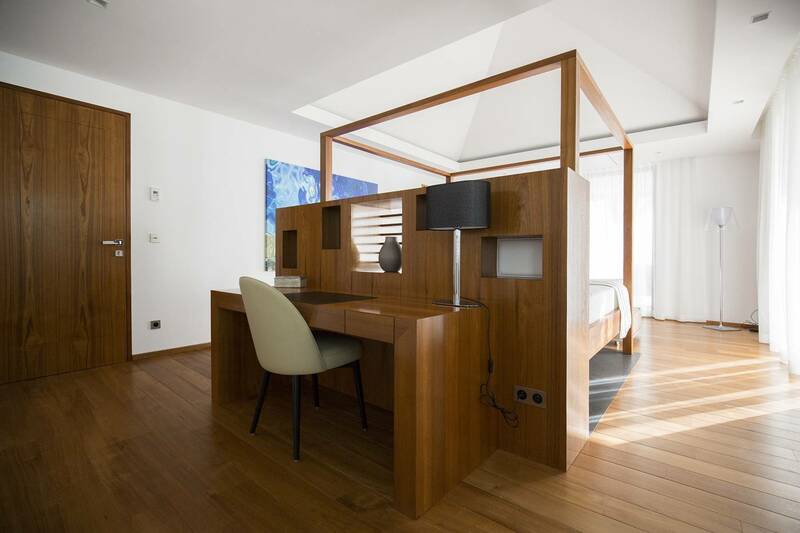 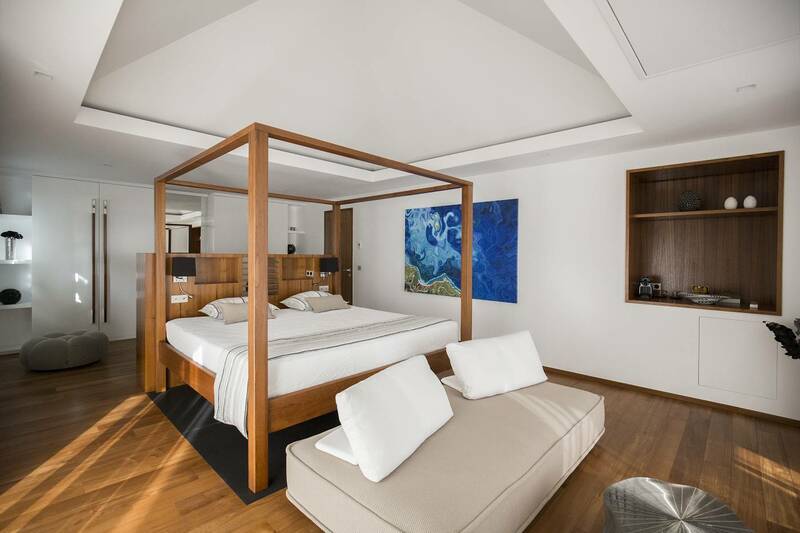 Each of the three spacious bedrooms is on a different level ensuring privacy. 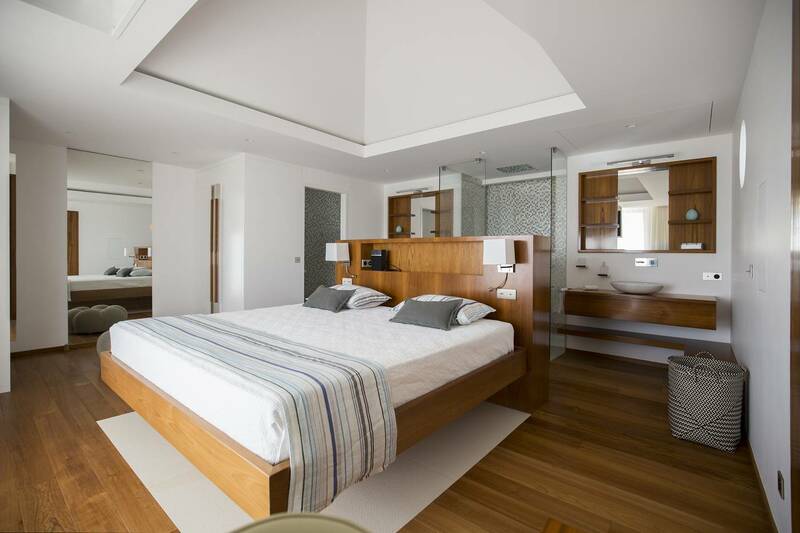 They all have a king bed, a dressing room, a private terrace, and a Jacuzzi. 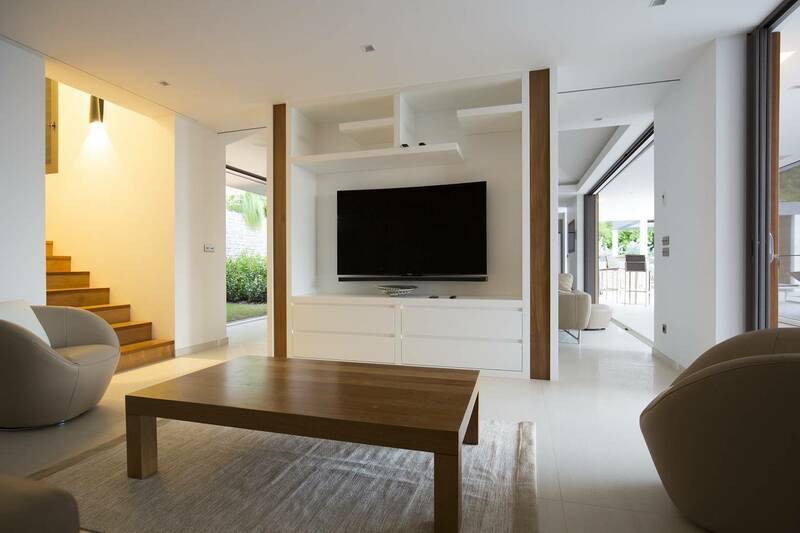 TVs descend from the ceiling and are equipped with satellite service and Apple TV. 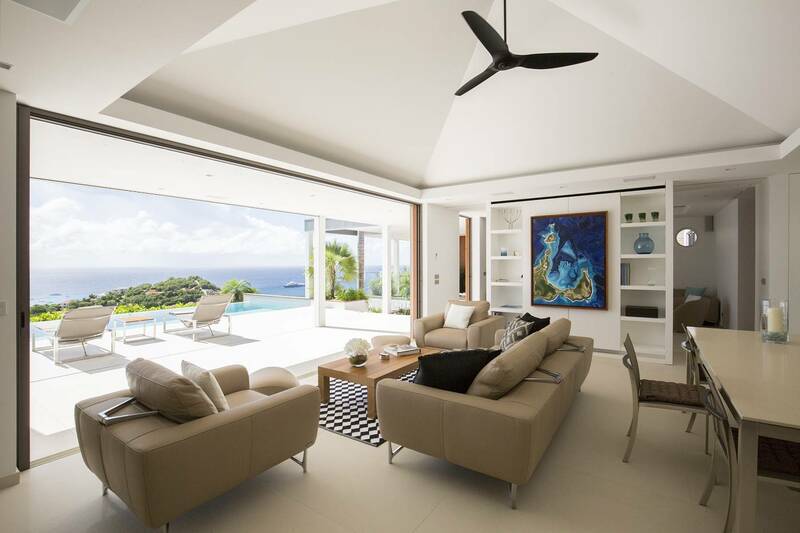 The master suite is on the top level with ocean views, and the two guest bedrooms are main level and lower level respectively. 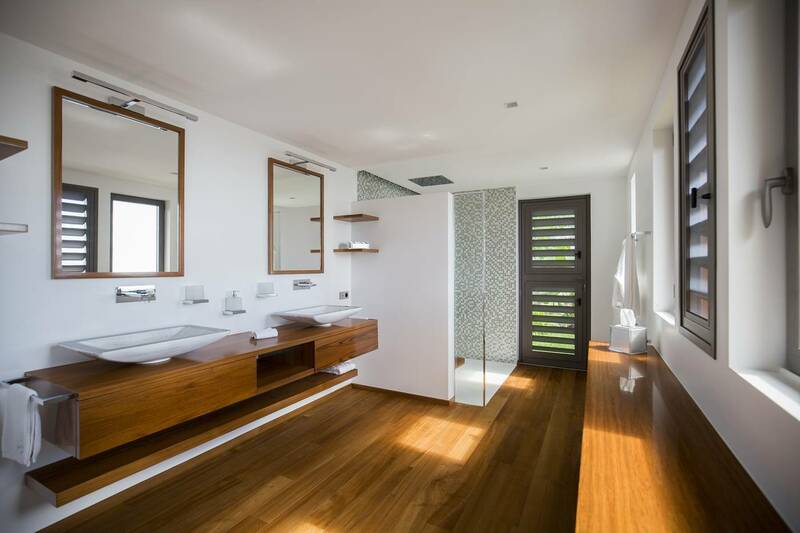 Each has a bathroom with a double vanity and shower. 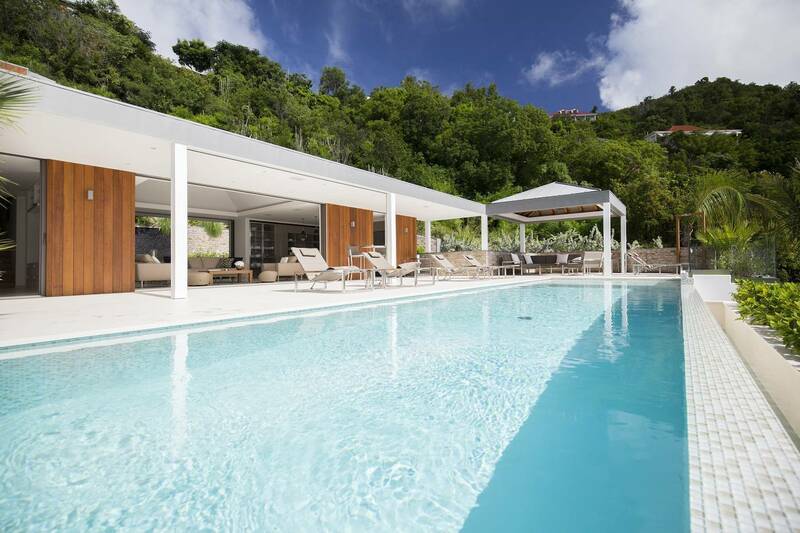 The Corossol location, close to Gustavia for shopping and dining. 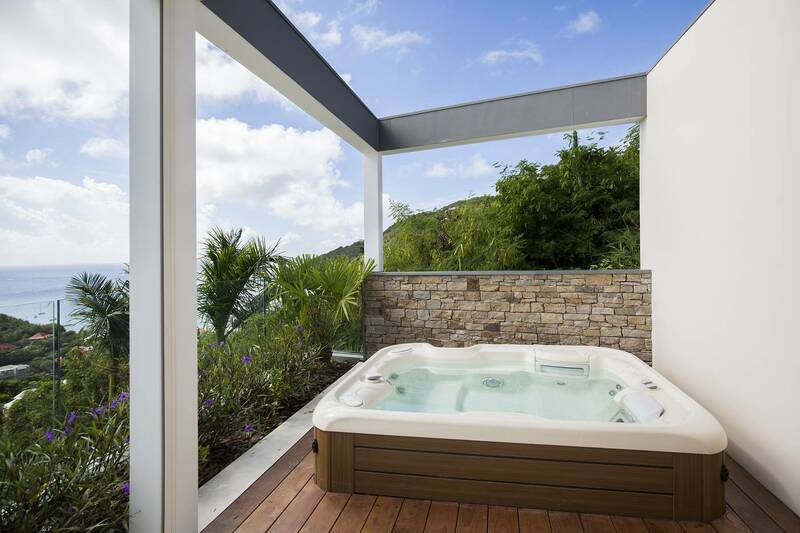 All 3 bedrooms have dressing rooms, private terraces and Jacuzzis. 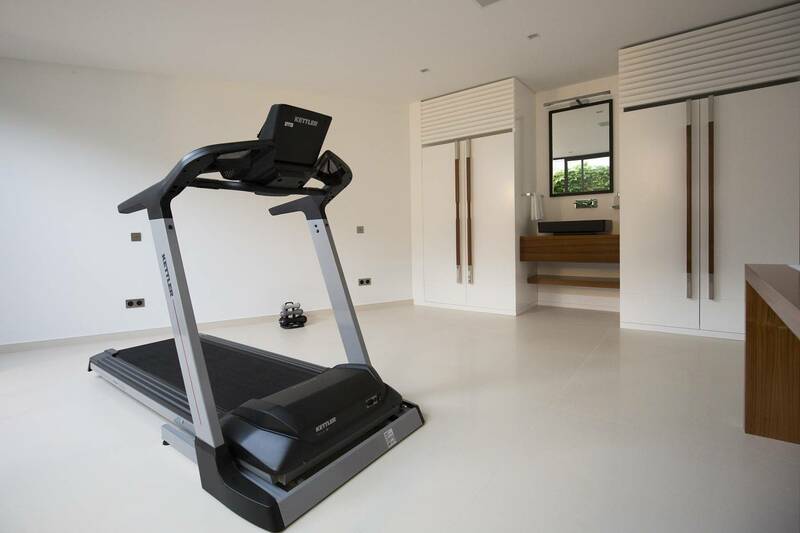 Features media and fitness rooms. 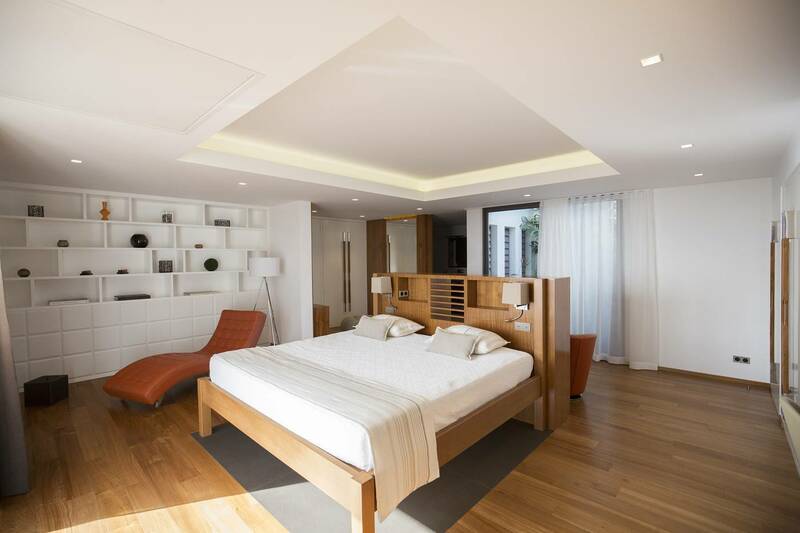 Beautiful master bedroom with private bathroom and private jacuzzi on the terrace. 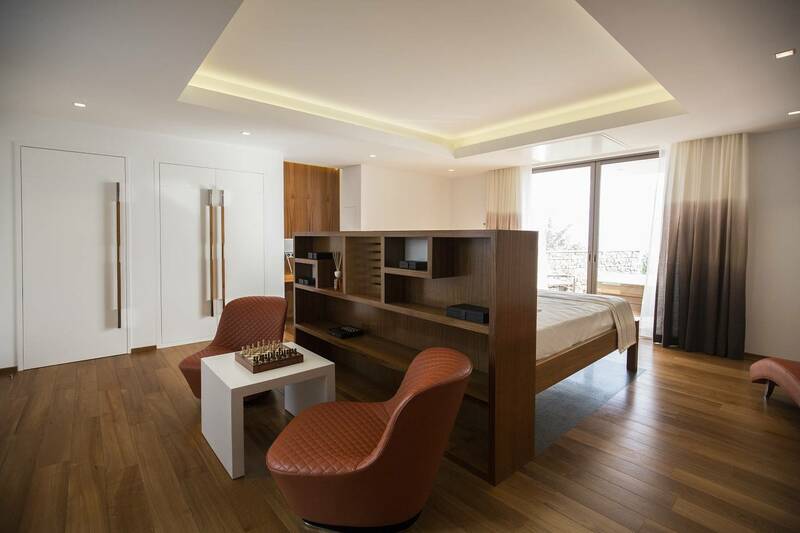 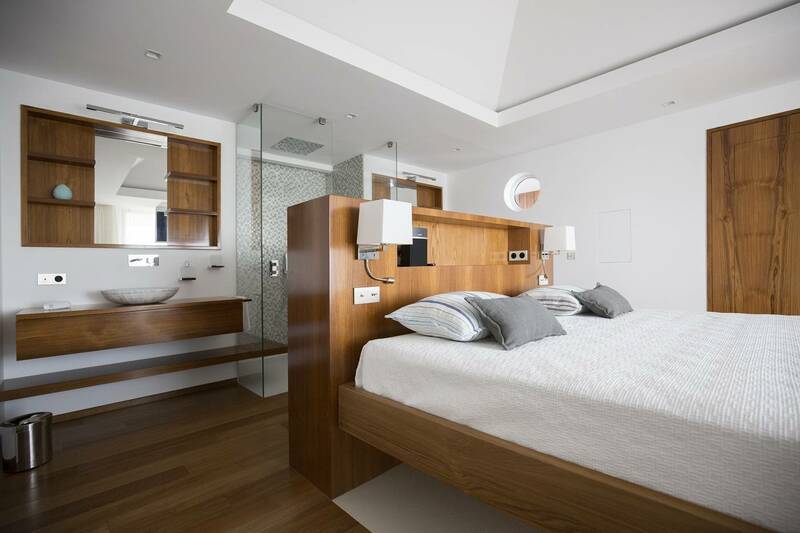 Beautiful large bedroom with a private Jacuzzi on the terrace. 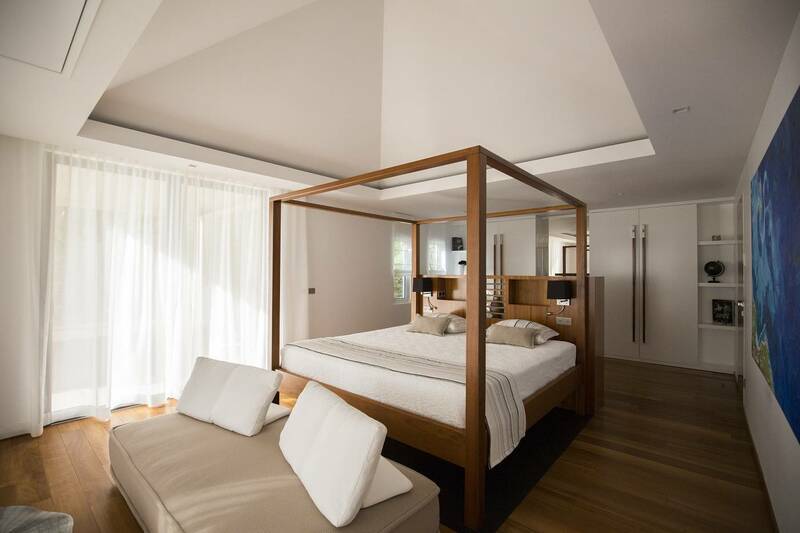 beautiful large bedroom with the private terrace and jacuzzi.